British Blues music has a rich history. It has a very important place in the history of the Blues worldwide. In the early days, legendary bandleader, and official supporter of the British Blues Exhibition, Chris Barber was pivotal in bringing American stars like Muddy Waters here. Then the Rolling Stones took the British Blues torch to re-ignite the Blues in its own homelands and fellow acts such as The Animals blazed out a British brand of Blues. In current times, there is a crop of great young British Blues acts and Americans who regularly tour the UK. The British Blues has great stories, great places, great music, and it is time for an exhibition to celebrate it. Preparations have just begun, but items from iconic and still broadcasting radio station Radio Caroline, British Blues groundbreakers The Downliners Sect, the Original Blues Brothers Band from the US, and more are already being curated for display. 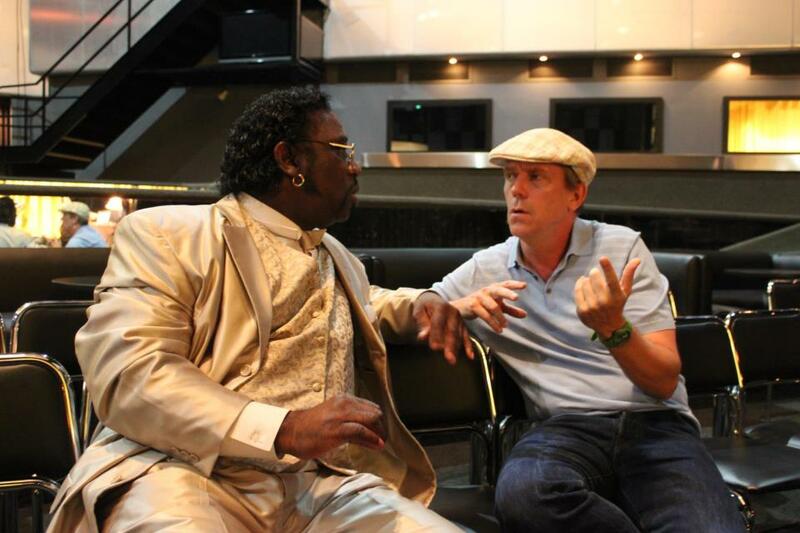 The ties between British and US Blues are strong to this day, as the photo above of Mud Morganfield, official supporter of the British Blues Exhibition and eldest son of Muddy Waters, and British Bluesman Hugh Laurie shows. Thus the hands in the header photo are Pete Feenstra (UK) and Albert Castiglia (US). Albert’s fellow American musician and BBC Radio DJ Huey Morgan is also a supporter of the British Blues Exhibition. The exhibition will do more than display historical items. It will excite, involve and inspire visitors. We are currently looking for sponsors and advertisers to help fund something really special.